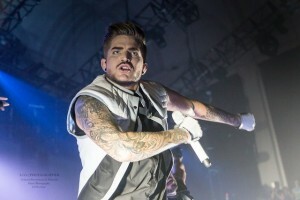 Adam Lambert – Diva in Estonia! News For LA Pre-Show Fan Dinner Night 1; Night 2 Pre-Show Dinner Added! 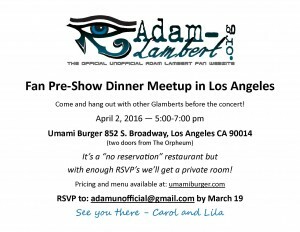 Adam Lambert’s Los Angeles Concert – Fan Pre-Show Dinner! 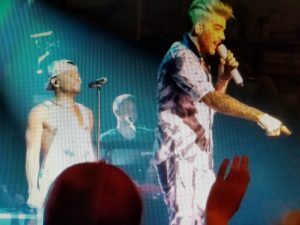 This and That With Adam Lambert! Adam Lambert Announces US Tour Dates! FULL CONCERT!! 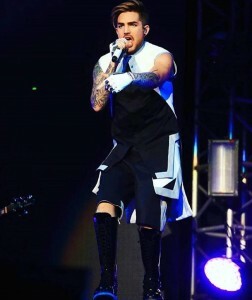 Adam Lambert Dazzles Shanghai With The Original High!